A key area of FSMA compliance for which questions continually arise from food and beverage processing plants is that of environmental monitoring. The topic was a key focus of the panel session, “Shifting Foods to R2E and Testing Implications,” at the Grocery Manufacturers Association (GMA) Science Forum in April. On the panel were Food Industry Counsel Global Food Safety Attorney Shawn Stevens, Hormel Foods Corporate Manager of Regulatory, Compliance & HACCP Brent Brehmer, General Mills QRO Global Food Safety and Regulatory Affairs Scott Hood, Hogan Lovells Counsel Elizabeth Falwell, and FDA CFSAN Office of Food Safety Senior Advisor Jenny Scott. Environmental monitoring is a critical aspect of FSMA’s Preventive Controls rule, focused primarily toward ready-to-eat foods. However, whether you are producing these or foods that require additional preparation for food safety, “environmental monitoring is a tool for food safety, and it’s a very powerful tool that we have,” Scott said. This is particularly important because it can be difficult to determine whether some foods are considered ready to eat or not. 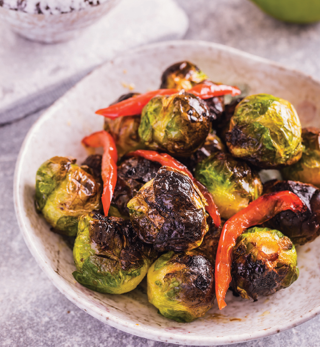 However, she added, it does become more complicated with foods that can be eaten as is or cooked – particularly as consumer habits change and foods, such as Brussels sprouts and kale, that previously had only been eaten after being cooked are now being seen in salads and other raw consumption. And how do you define a product such as a dry soup mix, that is intended to be cooked, but also is used as a flavoring for dip? As this also brings up the question of who is responsible for determining if a food is ready to eat or not, it brought thoughts and input from other panel members. “We all have a responsibility to follow trends and know how consumers are eating your product,” Falwell said. The lines are blurred, and there are grey areas, but Stevens recommended that companies follow a risk-based assessment: “Is it reasonably likely or foreseeable that the food could lead to illness?” If so, it is best to implement ready-to-eat food safety practices, even if it isn’t generally a ready-to-eat food. There is also the temptation for manufacturers to determine a food to not be ready to eat in order to avoid environmental monitoring, Stevens said. “That is making a huge mistake.” Even if you don’t, technically, have to comply with that provision of the rule, the consequences can be very high. FDA will be coming into the plant, taking environmental samples, and comparing them with PulseNet, he said. “If you don’t know what’s happening in your facility, when FDA shows up, they’ll tell you.” Nothing says environmental monitoring is limited to ready-to-eat foods. INDUSTRY EDUCATION. There also is an education process that will be important as we continue to move forward with environmental monitoring, focused primarily on the testing program and the importance of seek and destroy, Falwell said. Finding a positive doesn’t mean your operation is “bad,” it means you need to take corrective action. In fact, she said, “If you’re not finding [a positive], you’re not looking.” Or it may be that you’re getting a negative because you are swabbing the same spots over and over. Stevens agreed, stating that it is important that any positive be treated as a reason for improvement, that the facility ask key questions and consider the big picture: How did it get there? If it is there, it will also be someplace else; if it is someplace else, it will eventually get into the food – and you could even end up with criminal sanctions for failing to do enough about it. “You need to do whatever you can to eliminate contamination from the environment,” Stevens said. It also is for this reason that manufacturers need to ensure their suppliers also are of the test-and-hold mindset and follow those practices. Ask suppliers if they have environmental monitoring programs in place and conduct finished product testing with a reputable lab, Brehmer said. Scott’s response indicated that the FDA would be of similar thinking. Labeling does help reduce risk, she said, but you still need to consider any known or foreseeable risk. What is also likely to be considered is: How easy is it to reduce the risk? Stevens said. For example, you can’t reduce the risk of raw animal meat, so a warning is enough. But if the risk is relatively easy to manage at your facility or control in the supply chain, a warning label will be less effective or defensible. Hood agreed, saying, “Conducting a risk assessment and understanding what’s reasonable is all part of the equation.” It is a statement that is applicable to determining your plant’s environmental monitoring requirements and recommendations – whether your food is ready to eat or not. As FSMA compliance dates loom, industry associations issue food-safety plan guides. Dry pasta is generally considered to be a not-ready-to-eat product, but the industry has recognized its role in addressing Salmonella. With the date for compliance to FSMA’s Preventive Controls rules just around the corner (September 2016 for many facilities), food safety professionals are hopefully putting the finishing touches on their food safety plans. Although the key elements of the rules have been known since the initial proposal a few years ago, FDA has not yet issued guidance to industry that provides “how-to” recommendations for some of the more challenging aspects of the rules. Trade associations are helping to fill some of the gaps by providing practical, industry-specific guidance. For example, three guidance documents have been developed recently for environmental controls for dairies, safe processing of nuts, and Salmonella control for dry pasta. The three documents can serve as useful references in the development of food safety plans. o	A new chapter on supply-chain programs, given the requirements in the Preventive Controls rules for such a program when a facility relies on a supplier to control a hazard (such as a candy manufacturer who relies on a supplier to roast nuts to kill Salmonella). A chapter dedicated to allergens, given FDA’s emphasis on this, replacing its inclusion as part of prerequisite programs. Similarly, in response to continued concerns with post-process contamination of nuts and nut products, the issue of environmental monitoring is addressed in greater detail in a separate chapter. The document will continue to be updated with a chapter on food defense to provide recommendations associated with that final rule. The National Pasta Association also has leveraged the GMA low-moisture document to tailor it to the dry pasta industry with Mitigation and Control of Salmonella in Dry Pasta Facilities (http://bit.ly/1TAf3LW), which was published in March 2016. Although dry pasta is generally considered to be a not-ready-to-eat product because consumer cooking achieves adequate lethality to control Salmonella, the industry recognized its role in addressing this pathogen. The 27-page guide is formatted with easy-to-read bullets, illustrations, and checklists. The flow of the document mimics the GMA document, and covers topics such as controlling ingress of Salmonella, identifying and managing the Primary Salmonella Control Area, hygienic design of buildings and equipment, pathogen control within the facility, raw material control, validation, verification and corrective actions, and training. Like the dairy guidance, this document, while focused on the dry pasta industry, contains information relevant to any manufacturer concerned about Salmonella control. By maintaining open lines of communication with our science colleagues in other associations, we’ve become aware that several other guidance documents are in the works. For example, the National Fisheries Institute and Seafood Products Association are collaborating on the updating of a 2002 document on controlling Listeria monocytogenes in seafood products. Such industry guidance documents do not replace those of regulatory agencies, but they do provide an opportunity to build on regulatory guidance and relate the concepts and recommendations to a specific industry or product type. FDA has been finalizing several rules, and we are optimistic that the agency will release guidance in the near term. In the interim, industry members can look to their trade associations for technical information and support in implementing effective food safety programs. The author is vice president, science operations, GMA. In 2010, FDA published the comprehensive “Draft Guidance for Industry: Acidified Foods” to assist food processors in determining what constitutes an acidified food. The document provided nonbinding recommendations to the industry and was not a regulatory mandate. In December 2015, FDA announced the withdrawal of this guidance, in part, because many of the topics addressed in the draft guidance were addressed in other documents. The withdrawal has prompted many questions from food processors related to pre-acidified ingredients added to the product, the status of water, low-acid powders and low acid liquids, the definition of a small amount of low-acid ingredients, and the definition of a significant shift in pH. The answers to these questions should be based on science, recognizing, for example, that properly pre-acidified ingredients should be judged based on their acidified pH, and that pure water has no buffering capacity and does not influence product pH. Process authorities have the scientific background, technical knowledge, and experience to recommend the parameters and processes that will yield safe food products. Acid and acidified foods are those that have a pH of 4.6 or lower and a water activity greater than 0.85. Acid foods are those that naturally have a pH of 4.6 or lower. Acidified foods are foods to which acid or acid food ingredients are added to reach a final equilibrium pH of 4.6 or below. These products must be registered with FDA and produced with the maximum equilibrium pH indicated and according to the requirements in 21 CFR 108.25 and 114. While these definitions seem straightforward, the devil is in the details. It was, in fact, the finalization of FSMA’s Preventive Controls for Human Foods rule that resulted in the withdrawal of draft guidance for acidified foods, leaving gaps in the interpretation of acidified food policy. ACIDIFIED FOOD REGULATION. FDA regulations governing the safe manufacture of acidified foods were promulgated in 1979. The main purpose of regulating these products was to prevent botulism due to improper acidification. Clostridium botulinum spore germination, growth, and toxin production will not occur if pH is maintained at or below 4.6. Until the late 1990s, the safety of acidified foods was viewed as the control of C. botulinum toxin production. But due to the outbreaks of E. coli O157: H7 and Salmonella in apple cider and orange juice, FDA’s Center for Food Safety and Applied Nutrition (CSFAN) proposed in 2001 that all new acidified food-process filings should include a heating or a pasteurization step. The main purpose of the heat treatment applied to acidified foods is to bring them to a condition of “shelf-stability,” hence to destroy vegetative cells of microorganisms of public health significance — and those of non-health significance, such as spoilage microorganisms capable of reproducing in food products during their storage, distribution, retail, and holding by the end user. The rescinded draft guidance recommended that any finished product containing an acidified food ingredient should be an acidified food covered by 21 CFR Part 114. Before 2010, both FDA and the food industry considered a product containing pre-acidified ingredients as an acid food. The acidified ingredient supplier was responsible for filing the acidification process. GMA, supported by the food industry, continues to believe that an acidified food ingredient should be treated as the “predominant acid or acid food” since it is just one more acid component in the final formulation of all acid ingredients. The pre-acidified ingredients will not influence the equilibrium pH of the finished product. There is no distinction, from a food safety and scientific standpoint, between naturally acid ingredients and ingredients that meet the same pH as a result of acidification. To address the safety of products containing acidified ingredients, the emphasis should be on pH control. The proper measurement of finished equilibrium pH is essential. This will ensure that the acid will be fully diffused throughout the food, especially solids. FDA recommends that every component of the formula should have a pH that is 4.6 (or lower, if determined by a process authority) within 24 consecutive hours. After the equilibrium pH (4.6 or lower, as required) has been achieved, the likelihood that spores of C. botulinum will germinate and grow is eliminated. A frequent inquiry GMA receives from food processors of acidified foods is related to water. Under the withdrawn draft guidance, water was treated as a low-acid food. This may be technically true, since pure water has a neutral pH of 7.0, however, noncarbonated bottled water historically has not required a thermal or other C. botulinum spore lethality treatment, and has not been required to be filed as a low-acid canned food (LACF) product. As such, incorporating water into the list of LACF foods to be considered in determining the status of a potential acidified food runs counter to the long-standing precedent of exempting water from this classification. Additionally, water has a minimal buffering capacity and generally acts as a solvent only by providing the medium for monitoring the pH. In other words, just because water has a pH of 7, adding water to any food product will not change the pH of that product. SALAD DRESSINGS AND SAUCES. Although salad dressings and condiment sauces have historically been excluded from the acidified food regulation, FDA’s draft guidance document suggested that some of these products could come under scrutiny as acidified foods. Salad dressings and condiments with a pH of 4.6 or below are generally considered to be formulated acid foods because they are prepared from a variety of ingredients. Some of the ingredients are low acid, typically in the form of powders, small particulates and liquids. In addition to water-soluble ingredients such as salt, sugar, and flavors, other low-acid ingredients include starch, ground spices, and egg. The combination of these ingredients with others, such as water, vinegar, and oil, is what makes a salad dressing a salad dressing. These products are not inherently low-acid foods to which acid is added to lower the pH, so their status as acid foods is well justified. Nonetheless, questions continue to arise as to what low-acid ingredients should be considered when evaluating a formula, what constitutes a “small amount” of low-acid ingredients, and what is a significant shift in pH due to the addition of low-acid ingredients. The nature of many salad dressings and sauces does not allow for a heating step without destroying the integrity of the product. 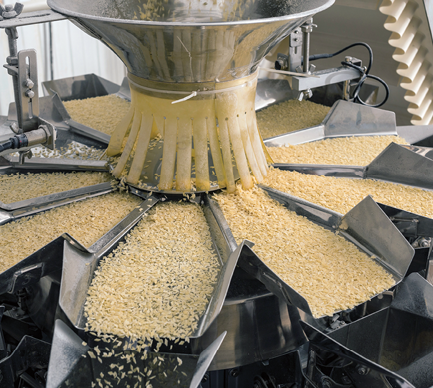 Commercial processors of products with a maximum pH of 4.1 typically rely on a combination of non-thermal factors for inactivation of potential vegetative pathogens and spoilage microorganisms. The parameters include control of pH, acidity as acetic acid in the aqueous phase, hold time after production and others. An example of a non-thermal Salmonella inactivation process for egg-containing dressings is cited in 21 CFR 101.100. A pH of 4.1 or below with acidity as acetic acid in the aqueous phase of 1.4% or greater and a hold time of 72 hours is considered to be a suitable bactericidal process for Salmonella in an egg-containing dressing. The excellent public-health safety record of commercially prepared salad dressings and condiment sauces indicates that the inclusion of low-acid liquids, powders, and granules in a dressing or sauce formula does not pose a food safety risk. These ingredients are readily dissolved or hydrate quickly when exposed to acid solutions. Processors who consider their condiment or sauce exempt from the regulation can receive a FDA opinion by voluntarily filing FDA Form 2541e, Food Process Filing for Acidified Method. BEYOND REGULATION. The focus of acidified foods should be on evaluating the microbiological stability and safety of these products regardless of their regulatory status. Therefore, the proper acidification process and proper application of a well-determined thermal process to control vegetative cells of pathogens are crucial in providing safe acidified foods. The food safety practices incorporated into process recommendations provided by process authorities have been and continue to be recognized by industry, government, and academia. Thermally processed acidified foods have a good record of food safety and the parameters required to ensure safety and shelf stability are well understood by the food industry. Validation and verification of control measures proposed for acidified foods by the Preventive Controls rule will additionally increase the safety of these products. The authors: Podolak is GMA senior scientist, processing technologies; Pinkas is principal scientist, microbiology, McCormick & Co. The Primary Salmonella Control Area (PSCA) in a low-moisture product facility is the area where handling of ingredients and product requires the highest level of hygiene control. In a facility where products receive a pathogen inactivation treatment, the PSCA is the area subsequent to the terminal lethality step. Figure 1. An example of using a risk-evaluation approach for determining hygiene areas in a facility. In this approach, the risk of Salmonella contamination in finished product is proportional to the probability that Salmonella is present in the process area and the proximity of the area to the product before packaging. The determination of whether a location in a facility belongs to the PSCA, the transitional area or the basic GMP area should be based on an evaluation of risk. An area can be evaluated based on the probability of Salmonella being present and the proximity of the area to the finished product. For example, a location that is “medium” or “high” on the probability axis and “near” on the proximity axis would fall into the PSCA (Figure 1), while a location that is far away on the proximity axis, or medium distance on the proximity axis and low on the probability axis would fall into the basic GMP area. By using this approach, a facility may be designated into areas with different levels of hygiene control. An evaluation of risk and mitigation strategies can also be used to determine the appropriate control measures for the PSCA. For example, in a facility that uses raw materials known to be contaminated with Salmonella presence, or in the event that persistent Salmonella is found, more stringent controls would be needed. From a very rudimentary perspective, the definition of “qualified staff” would simply consider the potential employee’s abilities to perform a task or be trained for a required skillset. These capabilities are clearly important in completing a given job; however, when building staff to support the needs of any organization, there is much more to consider. A qualified staff is the heart of an organization and will afford sustainability and growth for the business. When identifying the organizational need, you, as a leader, are responsible to build a team that can provide continuous forward movement on business requirements. This movement includes, not only the ability to complete a given task, but to think past the task at hand, innovate, and continuously improve. The people whom you hire to work as part of your staff are the drivers who make or break your program. Qualifications can be defined in many ways but generally fall into two categories: technical skills and community skills. Technical skills are procedural-based capabilities that are already known, are easily absorbed based on past training/study, or can be learned by the staff member through experience or more intense instruction. Trained and technically capable staff members must not only be able to carry out a given task, but also be curious and thought-driven. The latter two are at the heart of learning and will provide the employer with a staff member who will bring essential insight into tasks, problem solving, and critical thinking. When identifying potential staff, your human resources department will likely vet candidates and provide options for review. As leader, you must then make decisions based on the data provided. A resume will outline education and experience, providing information on a person’s past activities. A deeper dive into understanding the potential ability to grasp complex questions through the interview process will help define capabilities. That short window of interaction is the time to get a sense of the knowledge, understanding, and technical skills of which the candidate is capable. With a lot riding on decisions made here, the tougher part of making a good staff choice comes with the understanding of a person’s ability to interact with others (e.g. clients, co-workers, or other professionals). Community skills are softer and more difficult to identify, but they are just as critical. The working community developed through the building of a qualified staff requires professionals that work together with a single strategic focus. Each member may, and probably should, bring different propensities in style, but all must be capable of discussing, debating, and challenging one another. The community skills formed in building qualified staff will allow for development of a functioning team. These skills provide the platform for a team to interact in a positive and constructive manner. As in any community, there will be disagreements and sometimes serious deliberation on challenges faced. The ability for the team to work through to consensus while maintaining appropriate strategic focus will allow the business to stay on track and continue solving problems that could slow progress toward strategic goals. A qualified staff fulfills the requisites of both technical and community skills. Ultimately, it is the job of the leader to build and nurture the team through transparency, trust, and respect. That task, done well, will lead to the establishment of a capable, productive, and cohesive community of qualified staff. While the components of a food product label may seem fairly simple, it is important to understand the requirements that have to be met to comply with regulations. The first thing a consumer sees when purchasing food at the supermarket is the product label. Many decisions are made based on the information provided on the label, and it is the responsibility of the manufacturer to ensure all information is available and accurate. While the components of the label seem fairly simple, it is important to understand the requirements that have to be met to comply with regulations. The goal of a labeling program is to ensure all food labels comply with government regulatory standards. This is to ensure that the correct and most current information for food products is provided to inform the consumer, avoid possible regulation violations, and prevent products from being subject to recall or disciplinary action. Although FDA regulates most food products, USDA is in charge of beef, poultry, and pork regulations. USDA regulations are very similar to FDA’s, but there are some differences. Be sure you reference the proper set of regulations for your products. PRINCIPAL DISPLAY & INFORMATION PANELS. The Principal Display Panel (PDP) is the section of the label the consumer most likely sees when the package is on display on retail shelves. The area of the PDP is determined by the size and shape of the package. Information that is required on the PDP and any alternate PDPs are the identity and net quantity of the contents. Other information that is required on the PDP or the IP are the ingredient list, including allergens; statement of the responsible company; and nutrition (if for retail sale). Other information may be required depending on the nature of the food and other information on the label. For example, a claim may need additional supporting information. STATEMENT OF IDENTITY. The statement of identity is the name of the type of food in the package. For example, if the product is bread, it must be named as such. This name may not be false or misleading to the consumer in any way. If this food is an imitation of another food, it must be labeled that way. If there is a standard of identity for the product, it must meet the requirements of that standard. With many consumer buying decisions based on the product label, manufacturers must ensure all information is available and accurate. A standard of identity is a set of criteria that is created to establish the ingredients that are required or allowed in a certain type of food product for it to be named as such. Examples of some products that have standards of identities are enriched bread, flour, sour cream, and mozzarella cheese. Most food products do not have a standard of identity. If there is no standard of identity for a product, the common name must be used. This is the name commonly known and recognized by consumers. Examples of common or usual names are crackers, cookies, and cereal. The declaration of artificial colors, artificial flavors, and chemical preservatives must be included in the statement. The function of all chemical preservatives must be declared unless they are natural preservatives such as vinegar, cultured whey, or raisin-juice concentrate. Groups of ingredients that may be parenthetically listed within the statement are leavening agents, yeast nutrients, dough conditioners, firming agents, and fats or oils. Incidental additives do not have to be listed in the statement. Incidental additives are defined as substances that are present at insignificant levels and have no function in the finished product. The term “insignificant level” is not defined and is up for individual interpretation. An example of an incidental additive is a processing aid, such as mineral oil. Keep in mind, if an ingredient contains an allergenic substance, the ingredient cannot be categorized as incidental, and must be listed in the statement. Secondly, a company may choose to use a “Contains…” statement immediately following the ingredient statement. If a “Contains…” statement is used on a food label, the names of all the food sources of the major food allergens used must be declared. For example, if whey and natural flavor containing almonds are declared in a product’s ingredient statement, the “Contains…” statement on the label must identify the sources of the allergens. It would be listed as follows: “Contains milk, almonds.” The “Contains…” statement must be immediately after or adjacent to the ingredient statement in the same font size as the ingredient statement. NET QUANTITY OF CONTENTS. The Net Quantity of Contents is the amount of food in the package. That is, the amount of the food itself excluding the package. For retail products, the net quantity must be declared in avoirdupois (inch-pounds) and metric units. Typically, the inch-pound declaration is listed first, with the metric following in parentheses. For example, if a packaged food is 12 ounces, its net quantity would be listed as 12 oz. (340 g). For inch-pound units the remainder of a unit can be declared as a common fraction, decimal fraction, or as the smaller unit (e.g., one and one-half pounds would be declared as 1-1/2 lbs., 1.5 lbs. or 1 lb. 8 oz.). Metric declarations may only use decimal fractions, if needed. For products declared by weight, you must include the phrase “net weight” but no phrase is needed for volume measurements. RESPONSIBLE PARTY. A statement of responsible party must be located on the PDP or IP. The statement must contain the name of the party responsible for the labeling, be it the manufacturer or distributor, and a current address. If the company listed is not the manufacturer, the statement should be qualified with “distributed by,” “manufactured for,” or some other equally informative statement. The address must contain the street address, city, state, and zip code. The street address may be omitted if the responsible party can be found in a local phone book or city directory. There are several exceptions to the standard format. However, there are strict guidelines on how and when they are to be used. These alternate formats include simplified, tabular, linear, dual listing, dual language, aggregate, and food for children formats. THE RACC. FDA has created a way in which serving size is determined based on the amounts normally consumed in a sitting: Reference Amount Customarily Consumed (RACC). Serving sizes are declared using household measures and are calculated differently for discrete units, large discrete units, non-discrete bulk products, and single-serving products. Household measures are defined as cups, tablespoons, pieces, slices, and ounces that are commonly used in the home and are familiar to the consumer. In the declaration on the label, the common household measurement should be followed parenthetically with the metric weight or volume. For example, a cup of food weighing 245g would be declared as: 1 cup (245g). FDA has defined the terms that are regulated for use in claims, including that of light/lite, which is limited primarily to calories and fat. Discrete units are products such as sliced bread, cookies, individually packaged cereals in a multipack, or similarly packaged products. If the product weighs 50% or less than the RACC, serving size is determined as the number of whole units most closely approximating the RACC. For example, the RACC for bread is 50g, so if a slice of bread is 22g, you would have to declare two slices as a serving. If the product weighs more than 50%, but less than 67% of the RACC, the manufacturer may choose between declaring one or two units as a serving. So if a slice of bread weighs 28g, the manufacturer may choose either one slice or two slices as a serving. Finally, if the product weighs 67% or more of the RACC, but less than 200%, the serving size would be one unit. For example, an 84g muffin would be about 153% of its 55g RACC. So, the entire muffin would be declared as a serving. Products over 200% of the RACC may be declared as a single serving or divided based on the rules for large discrete units. Large discrete units are declared with “consumer friendly fractions.” These include 1/2, 1/3, 1/4, 1/5, 1/6, or a smaller fraction that can be found by dividing one of the previous fractions by 2 or 3. These fractions are most commonly found on foods such as pies, pizzas, and cakes. The serving size for this type of product would be found by dividing the total weight of the product by the RACC and finding the closest allowed division. BULK PRODUCT. Examples of non-discrete bulk products are flour and sugar. They are declared in household units that are closest to the RACC, such as a cup or tablespoon. For example, the RACC for flour is 30g. If the manufacturer found that 1/4 cup of flour consistently weighed 28g, it would be declared as 1/4 cup (28g). A package is considered to be a single serving if it contains less than 200% of the RACC for that product. However, if the food has a RACC of 100g (or ml) or more and the contents are between 150 to 200% of the RACC, the package can be declared as 1 or 2 servings. Food sold in bulk or for further processing. Bakeries and delis that primarily prepare a food on-site. Food distributed to foodservice or restaurants for further preparation. Foods that provide no significant nutrition, such as plain coffee or tea. Fruits, vegetables, and fish are under a voluntary nutrition labeling program. FDA provides the nutrition values for the top 20 in each group. food that has no significant nutrition. Small businesses do not have to have nutrition information on their packages if they meet one of the two exemptions. First, if the business sells directly to a consumer and has total sales of less than $500,000 or food sales less than $50,000, the business is exempt. The second exemption is item specific: if a company employs fewer than 100 full-time employees and sells less than 100,000 units of a food, that food is exempt from nutrition labeling. However, the exemption is negated for retail foods if any nutrition information is on the package or any claims are made about nutrients. Additionally, if a company wants to include nutrition on foods that would normally be exempt, it may, but the same rules for formatting of the nutrition panel must be followed. Again, for retail packages, if they include a nutrient claim on the label, the nutrition panel is then required to be present to support the claim. CLAIMS. Claims are regularly found on packages. FDA regulates claims, and no claim may be made on a package without the agency’s approval or acceptance. Nutrient content claims describe the level of a nutrient found in a product. The two types are explicit and implied claims. Explicit descriptors are those that clearly define the claim. An example would be “Cholesterol Free,” which clearly means that no cholesterol is present. Implied claims are less specific, and can be open to interpretation. A claim such as “High in Oat Bran,” implies the food is an excellent source of fiber and should meet the definition of that claim. Light/lite – limited primarily to calories and fat. Free – can be used with sodium, sugars, calories, fat, and cholesterol. Very low – can be used with sodium only. Low – can be used with sodium, calories, fat, saturated fat, and cholesterol. High/good source – can be used with any nutrient with an RDI or DRV. Reduced – can be used with sodium, calories, fat, saturated fat, and cholesterol. More – can be used with fiber, protein, vitamins, and minerals. Less/fewer – can be used with sodium, calories, fat, saturated fat, and cholesterol. Relative claims are those that compare a level of a nutrient in one food to the level in another food. Terms used include light, reduced, less, more, or modified. Packages with these claims must contain the quantitative amount for the nutrient in both foods, usually displayed in a table. The package must also contain the percent of change of the component mentioned in the claim. Health claims provide information about the relationship between a nutrient or ingredient in a food and a health-related condition. The claim may be explicitly made or may be implied by the use of a symbol such as a heart. The disclosure nutrients previously mentioned in conjunction with nutrient content claims also affect health claims. If the prescribed levels of any of the “negative nutrients” are exceeded, the food is basically disqualified from making many of the approved health claims. Plant sterol/stanol esters and coronary heart disease. Soluble fiber from oats, psyllium, and barley and heart disease. Sugar alcohols and dental caries. Soy protein and coronary heart disease. ON THE PLANT FLOOR. Verification is an important step in the labeling program. After each print run, receiving personnel must verify labels to ensure the correct information has been printed. When brought to the packaging line, personnel must verify that the correct label is being used. Employees responsible for destroying obsolete labels must be educated about the risks involved. It is not enough to simply discard obsolete labels. Each company needs a written procedure for disposing of labels to ensure that they are not used incorrectly. Furthermore, labels that are currently being used at the facility should be stored in a secure location to prevent intentional misuse. SUMMARY. 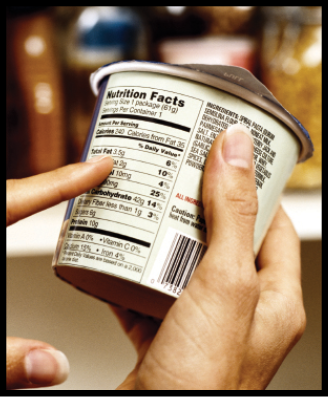 FDA and USDA regulate food labeling to ensure that consumers are informed. It’s critical that food labels comply with applicable standards and regulations. 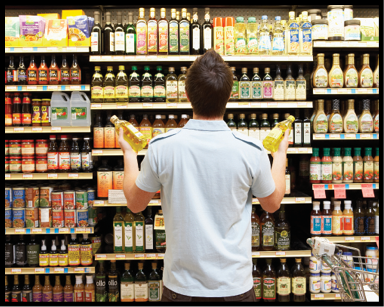 Before products leave your plant, make sure you’ve correctly listed the principal display and information panels, statement of identity, ingredient statement, net quantity of contents, responsible party, nutrition facts, claims, and other label statements to avoid legal ramifications and to ensure you’re delivering the most accurate product information to your consumers. The author is Manager, Food Labeling, AIB International.